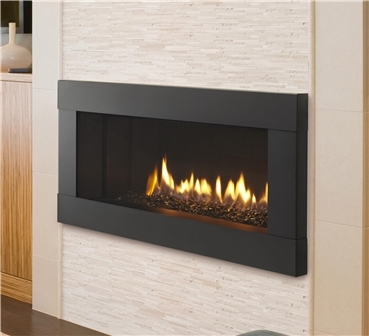 Heatilator Crave 36" gas fireplace with Four Square front and black glass media. Heatilator Crave 60" gas fireplace with clean face trim, crystal glass media, and reflective liner. The Heatilator Crave linear direct vent gas fireplace is available in 36", 48", 60", and 72" sizes to fit your modern large hearth application. Your Crave features a clean face trim; allowing you to build your surround materials up to the edge of the fireplace; optional four-sided black and Illusion (copper) trims are available. You can further customize the look of your Crave with your choice of five glass media stone colours or an optional natural log set for a more traditional look. 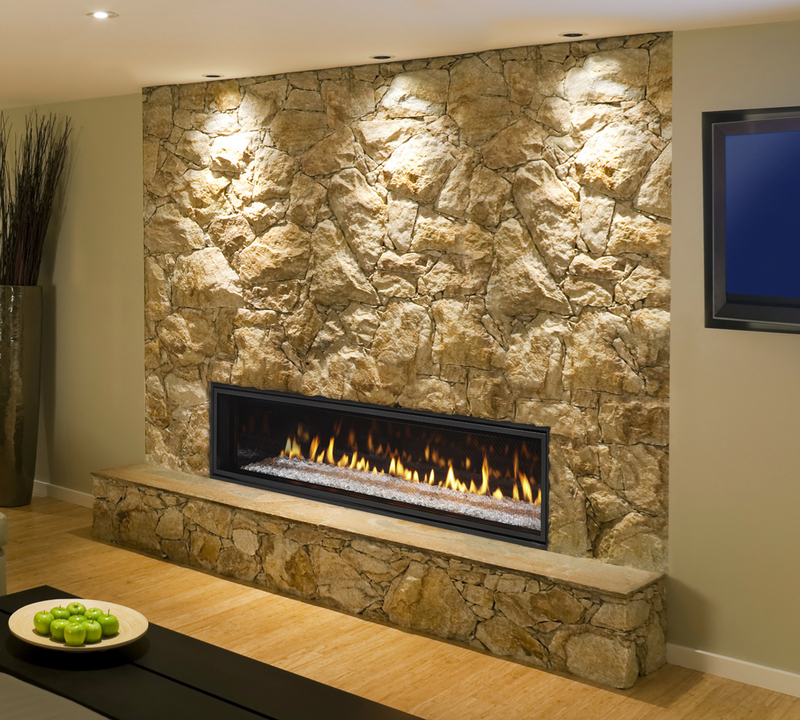 Your Crave gas fireplace comes with Heatilator's IntelliFire RC300 full-featured remote control for ease of operation. Use the form below to request more information on Crave, and a Kastle sales rep will get back to you as soon as possible. Fields in red are required.